University doesn’t have to be daunting. Discover our dedicated space for Pacific students and how we can help you reach your goals with advice and study support. At Pasifika Success (PS) we are committed to encouraging and assisting our Pacific students to be confident and independent learners. We’ve all been students too and understand the challenges of studying at University, so we provide a culturally supportive and friendly environment to help you make the most of your study. You might still be finding your way around and not sure who to turn to for academic, social, or mentoring support. We know too there may be issues outside of University like work, church or family that can affect your studies. You are not alone! Talk with us and find out how we can help you with the many demands of tertiary study and unlock your academic potential. We’re located downstairs in N Block, Level 2 at Gate 4, 60 Epsom Ave. Hours Monday-Friday 8am - 4pm (after hours access available). The success of all our Pacific students is extremely important to us. Feel free to drop in for a chat, and discuss the best ways we can help you. Make use of our kitchen, have a cuppa and chill out on our couches and beanbags in the Pacific student study space. One on one appointments – feedback on proposals, literature review etc. Tuakaqu is the Fijian word for an elder sibling or big brother, or elder person that has the important responsibility to look after, care for or mentor the younger siblings. 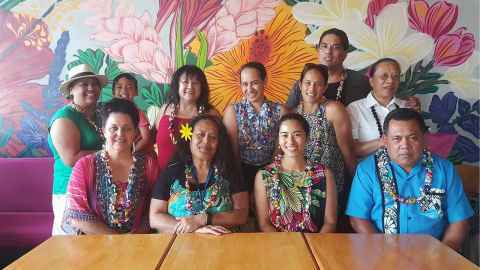 In this sense all our Pacific students at the faculty have the people of Pasifika Success as their Tuakaqu, who will mentor them to be successful. We are committed to encouraging and assisting Pacific students towards independent learning and confidence in their studies. Na Tuakaqu ni noqu vuli ka tiko ena koronivuli torocake oqo ko Pasifika Success, kau na rawa ni vakararavitaka vua na noqu vuli ka kei na noqu kila meu na rawata vakavinaka nai naki noqu vuli. We’ve all been students so we know what it’s like trying to get everything done and succeed. We don’t just listen, we help you find solutions.